"I don't think I could do anything else and be happy". Breeyn McCarney's love for creation and expression led her to fashion. Dissatisfied with pretentious critiques of her paintings, McCarney turned to fashion as a new outlet for not only her artistic touch, but also as an outlet for her personality and opinions. Fashion helps her to see balance in her life by providing a lighter feeling to her political and environmental views. Her typical designs involve strong political undertones, usually driven by things that she's mad at in the world. However, her upcoming collection that will be showcasing at [FAT] takes on a lighter tone evoked by "pure creative freedom". McCarney upcoming collection, Paper Dolls, is described as "dream-like" where it features a fantasy quality. She calls this collection a celebration of things she likes, including texture, paper doilies, and light. She says that we can expect a collection that is not necessarily typical fashion or utilitarian, but plays with the creative side of fashion. With this, her runway collection will be made entirely of paper with LED lights and muscle wire complementing the design. She thinks that the political undertones that she usually works with can get depressing, so she hopes that her [FAT] collection will bring more light- literally. McCarney is also very passionate about green fashion and environmental issues in society. She describes the Earth as our backyard where the whole planet belongs to us- not just a certain area. She says that "the Earth is the single most important thing in our lives because we can't live without it". She believes that people need to get the message that if we ruin the planet, we will not be able to survive. McCarney says that she's felt like this ever since she was a child. She makes as many lifestyle choices as she can that promote environmental consciousness such as riding a bike instead of driving. She says that though it can be frustrating at times to be a Canadian designer, but it is important to be proud of her nationality. She looks at this from a general industrial level where she observes that because of Canada's immense size, it can be difficult for people to connect with one another. This also causes difficulties in determining what 'Canadian' is, which is why we often look to other places (like the US) for identity markers. However, she says that Canada should not try to be something it's not, and instead, try to find what really makes us distinct. McCarney says that it is difficult to tell what the future holds for her and her brand since her goals are changing all the time. She says that she tries not to be too strict with her plans since directions are constantly changing. In general, she plans to keep building her brand and pushing it to the next level. Thank you so much Breeyn McCarney for your time! And thank you to Theresa Micallef of [FAT] for facilitating this interview. 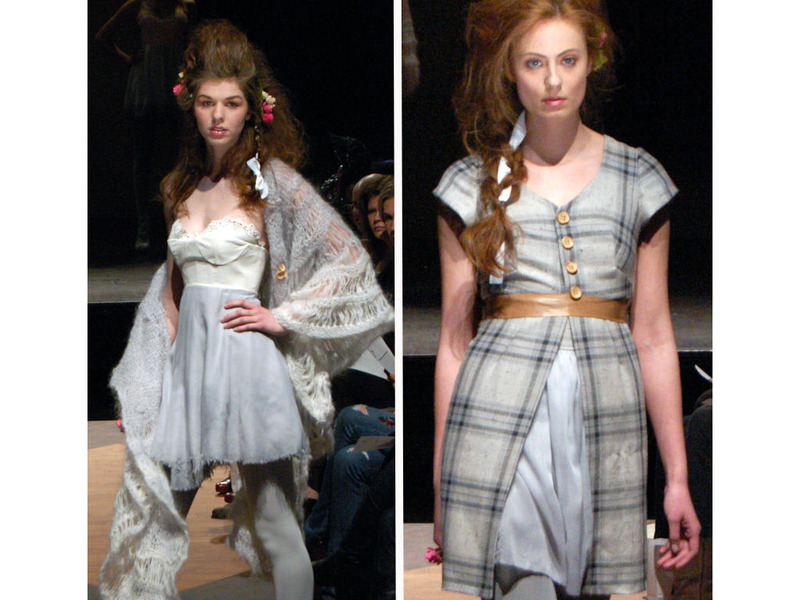 Breeyn McCarney will be showcasing on April 28th at 7:10 at the Toronto Alternative Arts & Fashion Week. I love the way that the stylist paired the dresses with gray tights to create a very streamlined image... really pulls the whole look together! 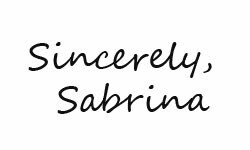 Also, thanks for the comment on my blog! - I love the lace shorts trend as well... I know that right now Club Monaco has lace shorts in all of their flagship stores as well as a many of their smaller stores! They are a little pricey...but very cute. Let me know if you find them anywhere else for less.. possibly the Free People brand?